December 5, 2014 ~ Say Cheese! | Whatever! December 5, 2014 ~ Say Cheese! Today, I finally used one of the more awesome Christmas presents I’ve ever received and made cheese. Yes, cheese. 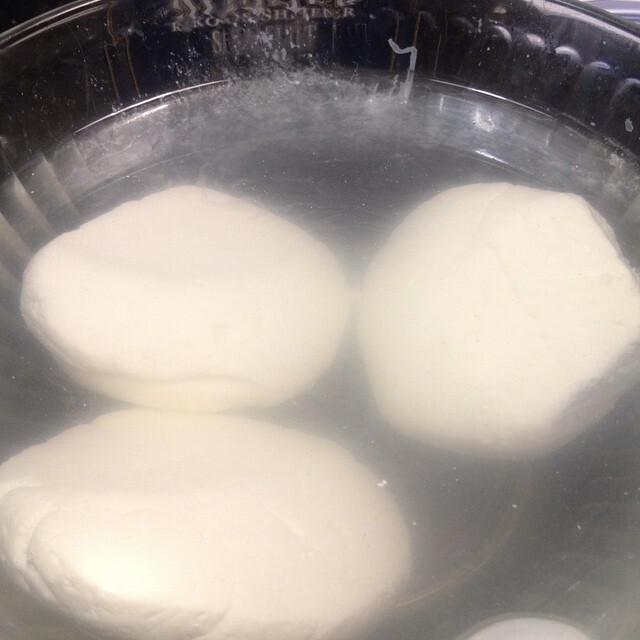 Fresh Mozzarella, even! I’m not sure why I hadn’t tried before. Maybe it was because I had one or both girls whenever I was mostly awake, or the fact that the package came with rubber gloves. I don’t really know. And I’m kicking myself about it. And not very difficult to do, maybe an hour for the first batch. And yes, I said first batch, because, oh yes, there will be more. 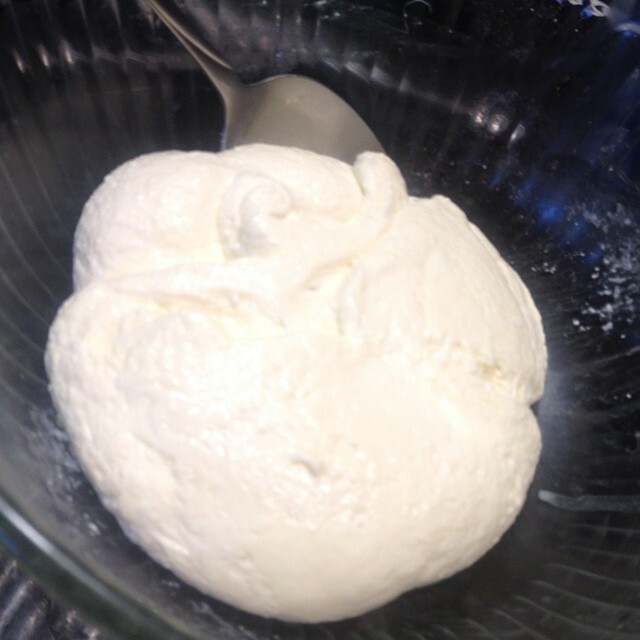 I’m sure that when I make the Mozzarella again it will only take about half the time. I will need to get a better thermometer – a digital one, that goes below 100°F. It seemed crazy to start with one full gallon of milk, but that was the recipe. 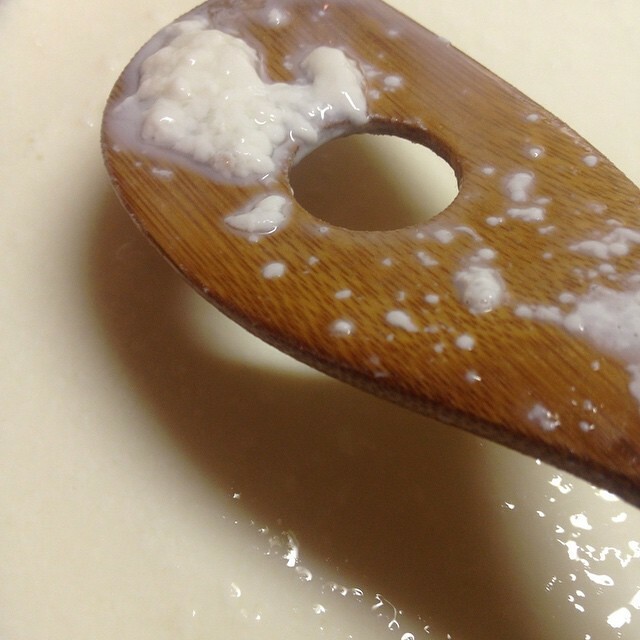 After adding in the citric acid and heating it up, small curds formed. 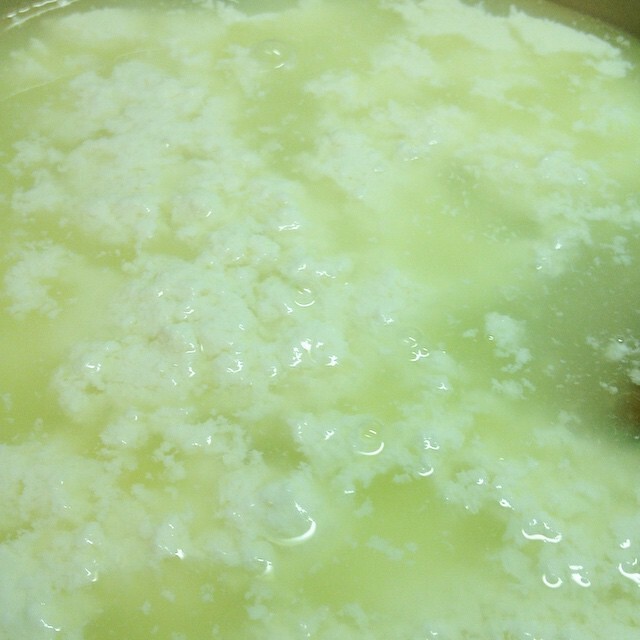 Once the rennet and calcium chloride were added it changed pretty quickly to much larger curds with clear whey. Straining the whey and getting the curds quickly into a separate bowl was a bit tricky, but eventually I got them all separated. I was amazed at how little cheese curd there was. Almost all the volume of the gallon was whey. A quick run through the microwave and it was ready to mix and form into balls. I tried some when it was still warm and gooey. Oh. It was lovely. Yum. I haven’t had mozzarella like that before. Stu also got to try some still warm and thought it was very good. I decided to make just three balls from the batch, I didn’t have much time before needing to go get Ashlin. They got nice and shiny as they cooled and I dropped them into the brine just before I left. Ashlin didn’t believe me when I told her I made cheese while she was in school. I let her try some after it was brined and she approved. She may have been impressed I actually made cheese. (It’s not marshmallow fluff or cookies! LOL!) She was sad she didn’t get to help though. I told her that she could help next batch. We may be making home-made pizza tomorrow. I have two thirds of it in the fridge, in brine, and the last third is wrapped in plastic in the freezer. It may not last the weekend. PS. 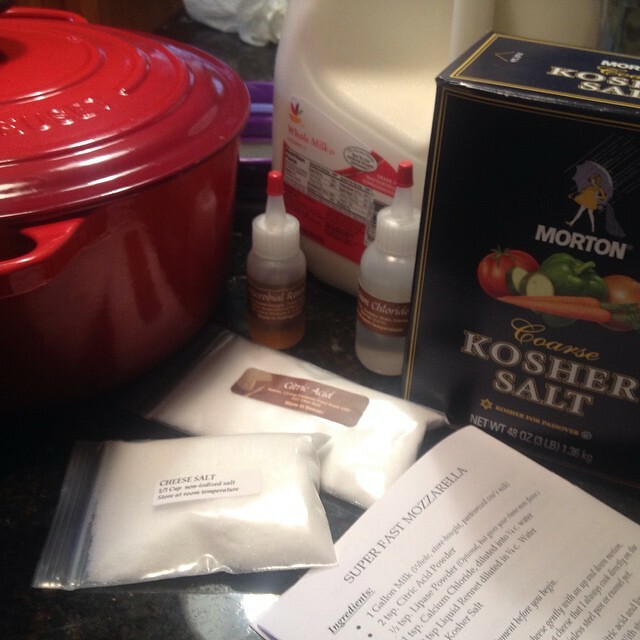 The cheese making kit came from Standing Stone Farms, and their recipe is similar to this one. Posted in Food & Drink, Interesting! I’m impressed!!! Me, I’d just go to the local grocery deli and buy a mozzarella log. :) Good job. Thanks! I usually buy from the store too! But Stu had gotten me the kit, so it was easy enough to try!